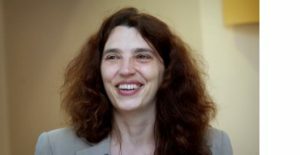 Ioana Manolescu (Inria Saclay – CEDAR / Ecole polytechnique) se rendra à l’IRT SystemX, site Digiteo Moulon, le 18 avril prochain pour animer un séminaire sur le thème « Computational Fact-Checking: A Content Management Perspective » de 14h à 15h30. A particularly popular and active area of data journalism is concerned with fact-checking. The term was born in the journalist community and referred to the process of verifying and ensuring the accuracy of published media content; these last years, however, it has increasingly focused on the analysis of politics, economy, science, and news content shared in any form, but first and foremost on the Web. In the last years, working with several colleagues, we have built a global view of the state of the art in the area of digital (or computational) fact-checking in newsrooms, by journalists, NGO workers, scientists and IT companies. I will show which areas of digital content management research, in particular those relying on the Web, can be leveraged to help fact-checking, and survey efforts in this area, with a particular interest in Web information source integration. This work has been supported by the ANR (ContentCheck project) and Inria through the WebClaimExplain project-lab with AIST, Japan. Ioana Manolescu is a senior researcher at Inria Saclay and a part-time professor at Ecole Polytechnique, France. She is the lead of the CEDAR INRIA team focusing on rich data analytics at cloud scale. She is a member of the PVLDB Endowment Board of Trustees, and has been recently an Associate Editor for PVLDB, a president of the ACM SIGMOD PhD Award Committee, and a chair of the IEEE ICDE conference. She has co-authored more than 130 articles in international journals and conferences, and contributed recently to a book on « Web Data Management » by S. Abiteboul, I. Manolescu, P. Rigaux, M.-C. Rousset and P. Senellart. and languages for complex data management, data models and algorithms for fact-checking, and distributed architectures for complex large data.